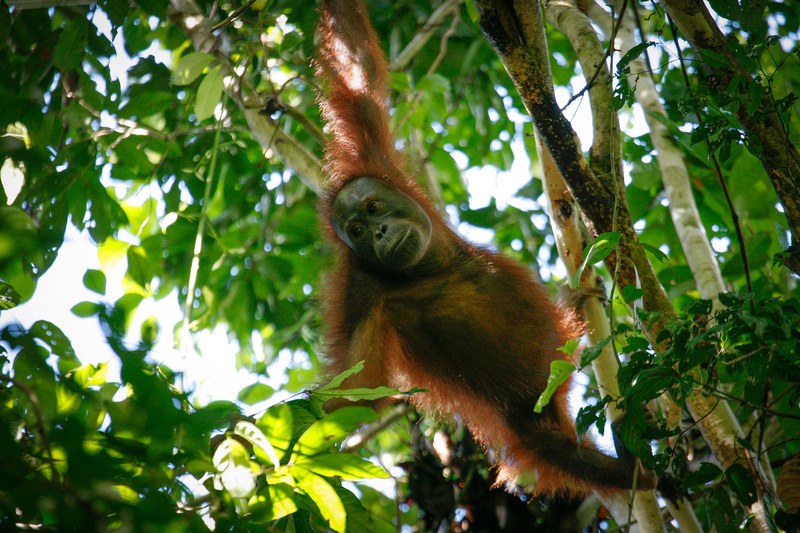 Animals in the wild, including elephants and orangutans play a vital role in seed dispersal, ensuring the sustainability of different species of plants, which in turn serves as our form of food or medicine. Perhaps we’ve heard this saying a million times over. Save our wildlife. Our animals are going extinct and it is high time that we do something about it. We’ve spent millions of ringgit in funding and countless hours in training wildlife task forces to curb wildlife hunting and we will continue to do so. But the crucial question that has been asked over and over again is why. Why do we have to save our wildlife? 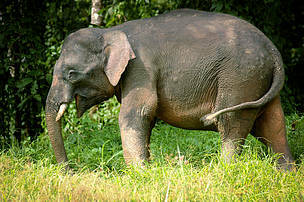 Why is it so important to keep the elephants around or conserve what’s left of our pangolins and sun bears? Why do they matter to us in the grand scheme of things? The short answer is because we are responsible for the state of our environment. To supply our demand for meat, we overfish our seas and convert excessive amounts of land into agriculture for the purpose of livestock operations. Land is also converted for the use of plantations in the name of revenue – most strikingly, palm oil plantations. 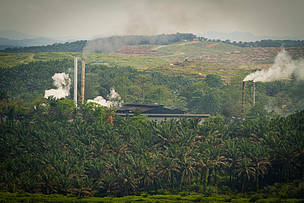 Malaysia, for example, is one of the largest producers and exporters of palm oil in the world. The Malaysian Palm Oil Board states that we account for 11% of the world’s oils and fats production. As of 2016, palm oil plantations account for 5.74 million hectares (ha) in Malaysia. Of this number, 1.55 million ha, or 27%, are found in Sabah. What do any of this have to do with wildlife? The answer is both simple and complicated. The conversion of land for agricultural use not only involve the cutting down of trees and plants that are important to biodiversity but also results in forcing wildlife out of their habitat and taking away their source of food. On the other hand, the large-scale hunting of wildlife makes an already difficult issue seemingly impossible. The likes of elephants, sun bears, pangolins, clouded leopards and sea turtles are regularly hunted for their tusks, meat, scales and egg. Their body parts are harvested for various purposes including being marketed as souvenirs and medicine. With their numbers already dwindling from the increasing loss of habitat, frequent hunting has made it doubly difficult for these species to recover their population numbers. Yet, for a cause and effect problem that seems so clear cut on the surface, the problem of wildlife going extinct is quite complex. Aside from poachers trying to make a quick buck from selling wildlife parts, locals living in rural areas also hunt wildlife to make ends meet – using it for their own consumption or selling for cash at the local market. They hunt, as their ancestors do, and as their children will do. It is tradition. Their way of life. Their food source. Palm oil, on the other hand, as it is often argued, is good for business. In 2016, the agriculture industry accounted for 8.1% or RM89.5 billion of Malaysia’s GDP. Of that number, palm oil emerged as its biggest contributor at a staggering 43.1%. And, as the logic goes, good business will help the country prosper, and in turn help the people prosper. Indeed, palm oil has helped alleviate poverty and contributed to a flourishing economy in rural Malaysia, especially where smallholders are concerned. Aside from benefiting from a stable income, independent smallholders have the freedom to diversify their marketable crops and improve food security through intercropping systems (B. Azhar et al., 2017). At the very root of the problem, whether we like it or not, is an “us vs. them” complex. Us against wildlife. As our population grow, the demand and need for land – be it as shelter, food or monetary gains – grow with it. In this zero-sum game, someone has to lose, and we have predetermined that it would be our wildlife – the elephants, orangutans and various other equally important forest inhabitants. Because what good will animals do if we cannot feed our children or keep a roof over our heads? Herein lies the real “why” question that we often ask. Why are we focusing on saving our wildlife? What about us, and our livelihood? We too live off the land. We depend on it for food and shelter. This argument is a valid one and one that warrants no objection. We do depend on the land and the environment for survival, and it is for this very reason that we need to protect our wildlife. Biodiversity – or biological diversity – put simply, refers to the variety of life on Earth. We depend on a diverse ecosystem that is rich in species of flora and fauna for food, shelter and protection. The forests supply us oxygen and clean water. Animals in the wild, including elephants and orangutans play a vital role in seed dispersal, ensuring the sustainability of different species of plants, which in turn serves as our form of food or medicine. Biodiversity is also crucial to our health and our medical advances. Many of the modern drugs that we know and use now are derived from wild species. These include painkillers, cardiac and diabetic treatments – all of which come from chemicals derived from animal or plant species found in our forests. In short, the inhabitants of our forests play an important role in maintaining a rich biodiversity which is vital for the sustainability of human life. The extinction of one species cannot be viewed in isolation to the rest of the ecosystem. Each species, mankind included, are interdependent. They each assume a role within the food chain. The extinction of one species will eventually cause the extinction of another. With each loss of species, biodiversity decreases and the ecosystem suffers a little bit more. From a cultural standpoint, it is important to remember that biodiversity is key to the longevity of traditional practices of hunting within communities. Traditional hunting, when practiced right, is sustainable hunting. Unfortunately, modern hunting today is merely a shadow of cultural hunting that, in all form and purpose, does not conform to traditional values. Excessive and unregulated hunting of wildlife makes it difficult for any species population to maintain a healthy number. Young animals are often hunted and killed before they mature and reproduce, resulting in species decline. Even today, much of our wildlife are being hunted to the brink of extinction. 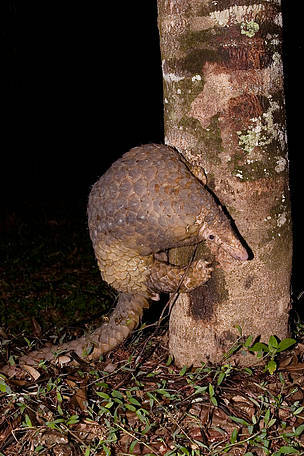 A recent TRAFFIC report has shown that an average of 20 tonnes of pangolins and their parts have been trafficked internationally every year. A combined minimum of 120 tonnes of whole pangolins, parts and scales were confiscated by law enforcement agencies between the period of 2010 and 2015. In Sabah alone, a shocking 22,000 pangolins and over 834kg of pangolin scales, at minimum, were traded over a 14-month period from 2007 to 2009. Just last month, Taiwanese Custom discovered 4,000 butchered pangolins shipped from Malaysia to Kaohsiung and possibly intended for East Asia, where demand for pangolin meat is high. The figures are alarming, and though we cannot determine the pangolin’s population numbers in the wild due to a lack of data, it is safe to say that the pangolins simply cannot sustain if such large scale trade continues. So if hunting is a tradition that needs to be passed down through generations, what will tomorrow’s generation hunt when the forests are no longer inhabited by wildlife? The preservation of our culture rests on the preservation of our wildlife. Protecting one necessitates the protection of the other. It is no secret that tourism is big business in Sabah. The estimated number of tourist arrivals in Sabah for 2017 is approximately 3.65 million, raking an estimated value of RM7.7 billion in revenue for the state. The success of the tourism industry in Sabah and in much of Malaysia largely depends on the natural resources it possesses. For Sabah, tourists flock over to experience the islands, mountains and forests. They marvel at the coral reefs and marine turtles off the islands in Semporna, stand in awe of the beauty Danum Valley, and wait eagerly for glimpses of our majestic wildlife including the Borneo elephants and orangutans. In short, our largest and arguably most lucrative form of revenue lies in tourism – an industry whose success depends very highly on the availability and conservation of natural resources. The attractions of our state include elusive wildlife that are found nowhere else. When we are left with nothing more to show for our land, we risk losing our major source of revenue, impacting the livelihood of our people. It is therefore important, on this account to protect them. Be knowledgeable. Know what you are buying. Endangered animals such as Borneo elephants, proboscis monkeys, orangutans, clouded leopards, marine turtles and sun bears are classified as Totally Protected Species in Sabah, which means that it is illegal to hunt, kill or sell them. Stop the demand for these animals by not buying them whether for food or as souvenirs and keepsakes. Use plastic bags responsibly. Where possible, limit the use of plastic bags. Plastic bags that are usually made from polyethylene are non-biodegradable – the abundance of which will only serve to increase the Earth’s waste pile. Plastic also kills wildlife, who sometimes mistake them for food, causing them to either die from strangulation or starvation. Take action. Report smuggling and illegal wildlife product trading activities that you may come across whether online or at the local tamu or market. You can report these activities to the Sabah Wildlife Department. Be proud of our national heritage. Much of the wildlife found in Malaysia is unique to the land and found nowhere else, and protecting them from complete extinction should be our national responsibility. 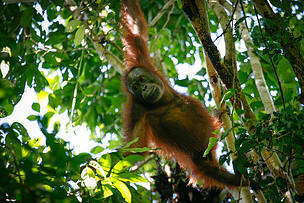 There are an estimated 11,000 orangutan individuals left in Sabah (Ancrenaz et. Al., 2005) and just 2,000 Borneo elephants left in the wild (Alfred et al., 2010). The sun bear population have declined more than 20% over the past 30 years (Foley et al., 2011) and are expected to continue on that trend if we don’t stop illegal poaching. This World Wildlife Day, let us make an effort to pay attention to our wildlife. Let us be reminded that we need our wildlife to thrive in order to guarantee our survival. Let us take action and know that even the smallest action will create a large impact. Though we cannot determine the pangolin’s population numbers in the wild due to a lack of data, it is safe to say that the pangolins simply cannot sustain if such large scale trade continues. Malaysia is one of the largest producers and exporters of palm oil in the world.